What is Bangkok’s Population? How Fast Has It Been Growing? With nearly 10 million people living in Bangkok, it has become one of the fastest growing metropolises in the world. Not only has the urban core experienced growth, but the outskirts have received an influx of residents looking for suburban home bases. Between 2000 and 2010, the suburban outskirts of Bangkok had twice the growth of the core. This isn’t surprising. Although Bangkok has become a center of trade and commerce in Asia, many of those business people seek a quieter home life. The downtown of Bangkok is bustling, vibrant, and busy. For those who want to raise a family and put down roots, the suburban outskirts provide a quiet oasis with fast and easy access to the core. It’s not just Bangkok that’s seeing growth, it’s the whole country. Thailand’s government emphasizes the importance of digital business. Through initiatives to provide fast WIFI to villages across the country, they hope to inspire the next generation of business owners and entrepreneurs. Thailand is proving itself to be a country to deal with on a global scale. Bangkok happens to be the center of that growth, spearheading the development. As more and more enterprises find success in Bangkok, the amount of wealth in the city increases. Bangkok is unlike other metropolises because it has more space to play with. It’s bigger than both Los Angeles and Houston, two exceptionally large cities in the US. And, it continues to expand with urban sprawl. There’s more wealth to reinvest in the city, more space for new ventures, and more developments for suburbia-seeking residents. Bangkok is a top tourist destination for travelers from all over the world. The ornate palaces and historical sites attract foreigners who want a taste of Asian culture and history. The Grand Palace, Wat Arun, and Wat Mahathat are some of the ancient landmarks that are still in existence today. Tourists can experience the history of a regal and powerful country. Bangkok brings the traditional Thai charm while also offering modern attractions. When visitors aren’t checking out historical landmarks, they flood to newer attractions like Dream World, Safari World, and one of the many shopping centers. Bangkok has a mix of high-end luxury shopping brands and more affordable lines. Travelers know that they’re in for a treat when it comes to nightlife. Bangkok is known for having some of the craziest club, bars, and parties. Besides the tourism industry, Bangkok is quickly becoming known as a key player in tech. 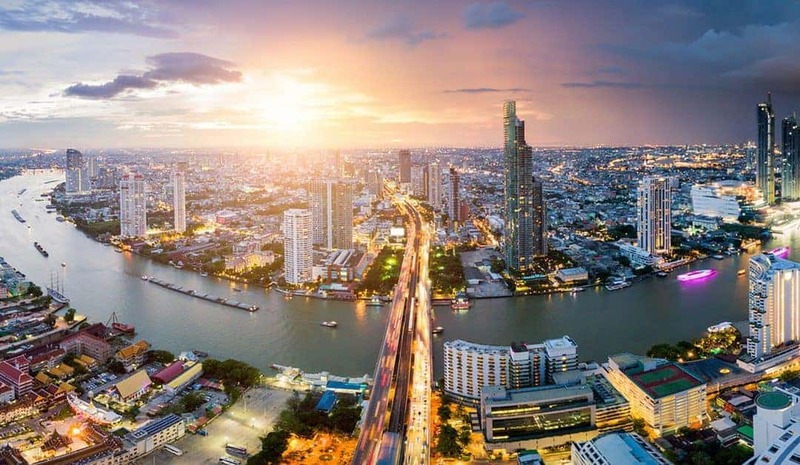 The expansion of digital commerce, smartphones, and increased spending have allowed Bangkok to soar in the technology field. Thailand has a 75 percent internet penetration rate. That’s only 5 percent less than the United States. The users and shoppers are here; tech companies have noticed and started setting up shop in Bangkok. Massive tech ventures like AIS and DTEC have started incubators to help grow Thai tech startups. The Thai government has invested $570 million into a fund to increase the tech industry in Thailand. As the Silicon Valley of Asia, Bangkok has a bright and notable future in the tech world. In addition to the tourism and technology industries, Bangkok is also known for textiles and garments, and light production. The agricultural processing industry has had substantial growth recently, as has the automobiles and automobile parts fields. With so many thriving industries in Bangkok, it’s no surprise there are so many exceptional employment and entrepreneurship options. Bangkok’s unemployment rate is impressively low, below 1 percent. That’s due to a handful of factors, one being the number of people employed in the “unofficial” sector. Anyone who wants to earn an income can easily find a job in agriculture, construction, and retail fields. If you have just one entrepreneurial bone in your body, you could open a food stand. Although these positions often don’t get recorded as employment, the unofficial employment sector provides a ton of jobs. Entrepreneurialism is a strong trait of the Thai people. If one job doesn’t work out, they find another. There’s a sense of motivation and desire to earn an income and support the economy. This could be a reason for the thriving community of entrepreneurs in Bangkok. Both Thai and expat entrepreneurs have been expanding their businesses in Bangkok. Its centralized location and strong digital infrastructure along with a massive market of consumers make it the perfect setting for startups. Expats are increasingly choosing Bangkok to set up shop because of its low cost of living and low cost of doing business. There are multiple incubators, as mentioned above, looking to nurture new entrepreneurs in Bangkok. Besides the unofficial sector, there are job prospects in the tourism and hospitality industry, technology, and agriculture fields. These thriving industries are also optimized for new businesses and startups. If you’re interested in relocating to Bangkok for business, there’s no better time than the present. Everything you need for your business to excel is here waiting for you. To improve your digital marketing and SEO strategies, contact SEO Heroes Bangkok. We’re a digital marketing agency on the ground in Bangkok experienced in skyrocketing web traffic and boosting revenue for businesses. As the population of Bangkok continues to grow, the real estate opportunities also continue to match the demand. More and more expats are moving to Bangkok for business and looking for a home base. Although the rental market is strong in Bangkok, it’s truly a buyers’ market. When you look at the condo real estate market, you’ll see that prices have doubled over the last five years. However, they’re still cheaper than comparable Asian cities like Kuala Lumpur and Ho Chi Minh. Houses are in a similar situation; despite the gradual increase in prices, they’re still more affordable than other urban cities. Buyers can live in a bustling metropolitan like Bangkok, without the housing costs of Jakarta. In terms of housing options, there’s a range across all budgets. The city center has an abundance of middle-income apartments and condos, as well as numerous luxury buildings getting built each year. Many Bangkok residents have joined the trend of moving away from the core and towards the city outskirts. These suburbs offer more space and less hustle and bustle. Some are contained in gated communities and carry the price of such. Others are stand-alone houses on pleasant streets. 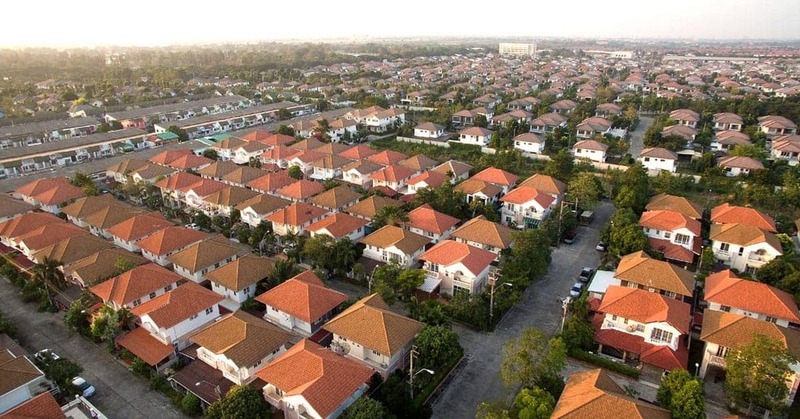 Suburbia is an excellent option for those looking to raise a family in Bangkok. It’s ideal to find a property that’s still near the public transit lines to make getting downtown easier. Bangkok is an exceptional city to raise a family in. As a multicultural city, children that grow up here are exposed to many different languages, cultures, and ways of life. This prepares them for a career in international business, the public sector, and more. To get a well-paying career, Bangkok has numerous schooling options for kids and teenagers. There are public and private elementary schools, as well as language schools and religion-based schools. Expats will find a range of international schools and boarding schools. If you want your child to grow up with specialized education, there are schools in Bangkok for them. Bangkok is a relatively safe city to raise a family in. It was rated the 14th safest city in Asia and continues to expand its safety policies each year. Plus, there is tons of family-friendly entertainment to enjoy. There are community centers, indoor skating rinks, movie theaters, and more. Families fill the local zoo and Siam Park City amusement park. Although it’s often touted as a concrete jungle, there are plenty of parks and green space in Bangkok to enjoy. Your family can have a full, enriching, and prosperous life in Bangkok. Like many metropolises around the world, Bangkok has joined the healthy-living trend head-on. Clean eating has become a way of life and many residents are committed to workout out multiple times each week. Grocery markets and specialty stores sell organic and locally-sourced food. Restaurants offer vegan, dairy-free, and gluten-free options. Of course, there are still plenty of temptations to throw you off your diet (we’re looking at you, BonChon!). However, the constant influx of healthy options and venues makes resisting easier. As for working out, you have plenty of options in Bangkok. To start, there are many parks in the city that provide the perfect backdrop for walking, running, and cycling. Lumpini is especially nice and has a large pond. 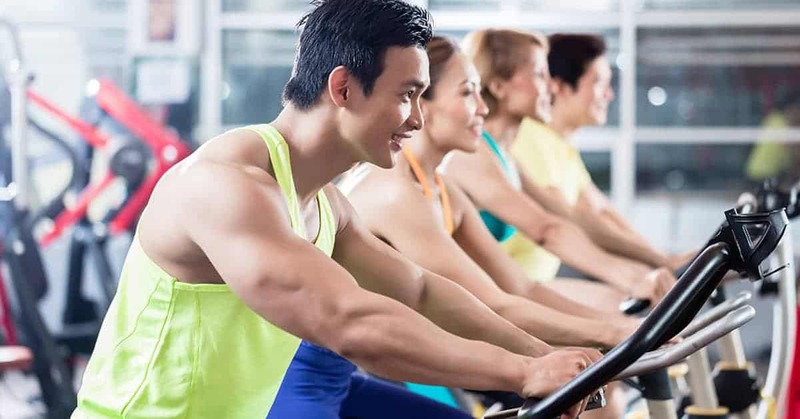 For group classes and weight lifting, there are tons of gyms like Fitness First and The Lap. There are also boutique gyms that charge a bit more but offer customized or specialty training. Bangkok has numerous public running tracks, swimming pools, and cycling clubs to join. Basically, there’s a fitness option for every preference in Bangkok. Compared to the cost of living in Western cities like London and New York, Bangkok is extremely affordable. To start, the cost of food varies depending on the venue. Street vendors sell a variety of dishes at affordable prices. Fast food is slightly more expensive, as are restaurants and bars. Food from grocery stores is affordable. According to Numbeo, milk costs 51.98 ฿ and a loaf of white bread is 37.80 ฿. Many residents save money by taking public transit instead of owning a car. The transit system in Bangkok is extremely efficient and maintained. Plus, it allows you to skip the nearly-constant traffic jams in downtown Bangkok. As mentioned above, housing is more affordable in Bangkok than other comparable cities. Renting in the city is also inexpensive. A modern one-bedroom apartment in central Bangkok could cost around 20-30 000 ฿. It’s standard for most Thai homeowners and renters to hire a maid once or twice a week. This is an inexpensive amenity that most residents see worthwhile. For a single person to live in Bangkok, expect to pay around 50 000฿ per year, and upwards of 80 000฿ for a small family. Of course, these estimates could vary depending on your lifestyle, preferences, and number of dependents. Some cities outside of Bangkok are slightly cheaper. However, if you work or study in Bangkok, it’s worth staying in the city or at least on the transit line instead of commuting. Bangkok’s future is bright and exciting. 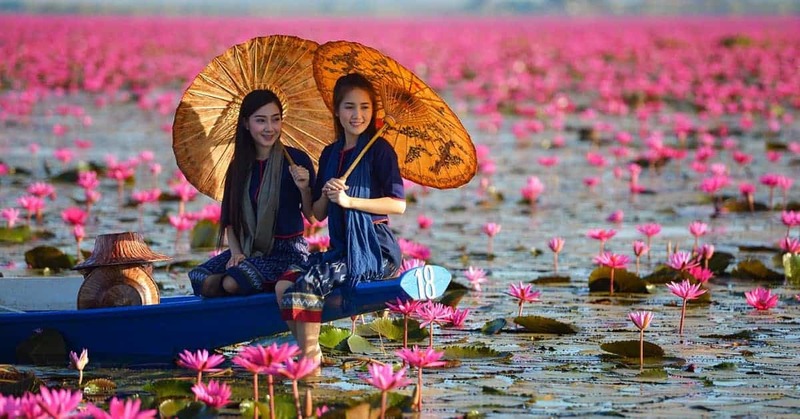 Thailand’s GDP growth rate was a whopping 4.1 percent in 2018, and it’s expected to continue rising in upcoming years. In fact, the World Bank says Thailand is “one of the great development success stories” due to its sustainable growth. As the center of Thai business and commerce, Bangkok is expected to become even more important on a global scale. The tech industry is booming, as is the tourism and agriculture sectors. Tech startups and entrepreneurs continue to relocate to Bangkok to take advantage of its prosperous future. Not to mention the extensive programs and features in place for families. Bangkok has become an ideal place to put down roots. If there was ever a better time to start a business or raise a family in Bangkok, it’s now. The cost of living is affordable and fair, as are the current real estate prices. In the future, urban sprawl will continue to spread out from the core as more residents choose to live outside the city. An already sizeable city is expected to increase in size, population, and value. If you’re ready to take your business to the next level, you need to have expert digital marketing strategies in place. 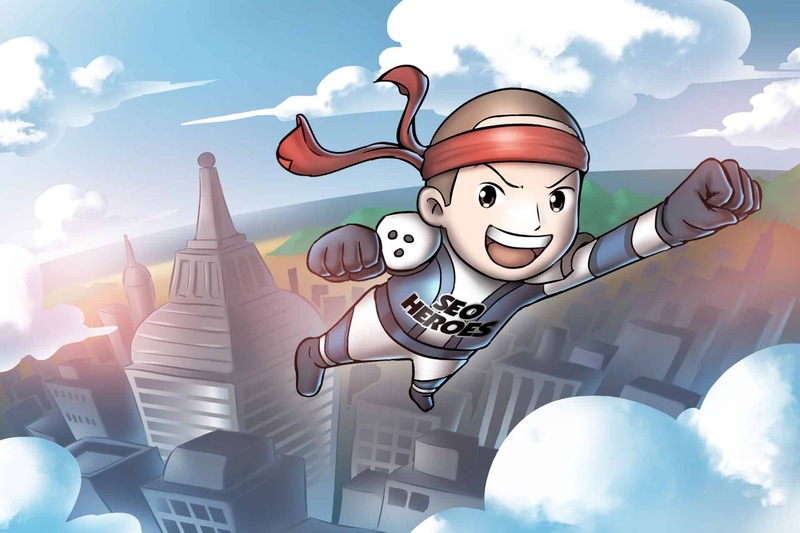 Whether you’re local to Bangkok or remote, SEO Heroes Bangkok can facilitate your growth. 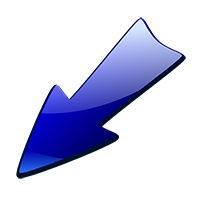 Increase your website traffic, attract target leads, and skyrocket your sales.